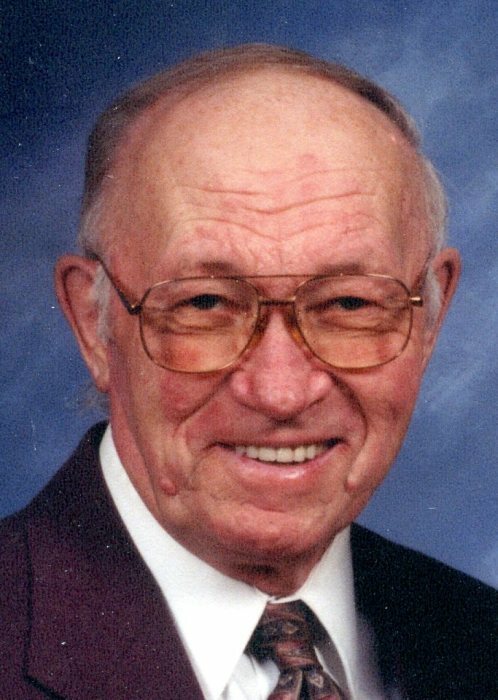 Paul R. Techtmann, 86, of the town of Barton, entered into God’s Kingdom on Tuesday, April 2, 2019, at St. Joseph’s Hospital in the town of Polk. Paul was born on July 22, 1932, on the Century home farm in West Bend, the son of the late Richard Sr. and Freida (nee Hagner) Techtmann. He was adopted into God’s family of believers at his baptism on August 21, 1932, at St. John’s Lutheran Church in West Bend. On August 31, 1974, he was united in marriage to Janet Stanke at Good Shepherd Lutheran Church in West Bend. Paul was a charter member of the Wisconsin Polka Boosters Inc. where polka music was promoted and dance lessons were taught. Paul was involved with farming, agricultural organizations, driving for Yahr’s Redi-Mix, Johnson School Bus, The Threshold, and Gundrum Brothers Farm Supply. He was an active member with the Jesus Cares program. Paul was an active member as an Usher Captain and the Altar Guild at Good Shepherd Lutheran Church in West Bend. Those Paul leaves behind to cherish his memory include his wife, Janet; five siblings, Florence (Lewis) Enderle, Arlene (Carl) Koepke, Verna (Robert) Kudek, Richard Jr. (Diane) Techtmann, and Mae (Francis “Sonny”) Mehringer; two sisters-in-law, Joan Postell and Bonita Lindgren; a brother-in-law, Raymond Stanke Jr.; nieces, nephews, their children, and other relatives and friends. In addition to his parents, Paul was preceded in death by two brothers-in-law, Jack Postell and Ron Lindgren. Funeral services for Paul will be held at 3:30 p.m. on Sunday, April 7, 2019, at Good Shepherd Evangelical Lutheran Church, 777 Indiana Avenue, in West Bend. Paul’s family will greet relatives and friends at the church on Sunday from 1:00 p.m. until the time of service. Entombment will take place on Monday, April 8, 2019, at Washington County Memorial Park at 11:00 a.m.
Memorials to KMLHS, Good Shepherd Lutheran School, Jesus Cares, and The Threshold are appreciated. The Myrhum Patten Miller and Kietzer Funeral Homes have been entrusted with Paul’s arrangements. Additional information and online guestbook may be found at www.myrhum-patten.com.